Designed and built by George Stephenson of the Liverpool and Manchester Railway in 1829, the Rocket was the winner in the Rainhill Trials—a competition sponsored by the railway to obtain a locomotive for carrying both passengers and freight. It pulled a load of three times its own weight at the rate of 20 km/hr (12.5 mph) and hauled a coach filled with passengers at 39 km/hr (24 mph). When the road opened in 1831, it employed eight of Stephenson’s locomotives. 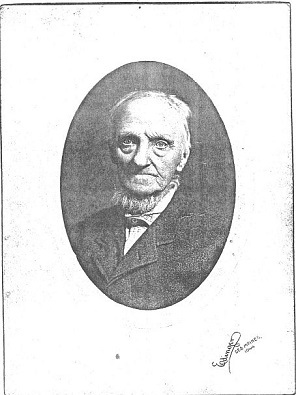 The driver of the first passenger train in England – in the world ! – was a youth called Edward Entwistle, who was born at Tyldesley Banks, near Wigan, in 1815. At the age of eleven he was made an apprentice in the large machine shops belonging to the Bridgewater Trust in Manchester, his parents having decided that he should be an engineer. 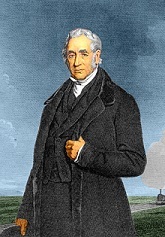 It was in these works that the “Rocket”, the first passenger locomotive, was built under the direction and according to the plans of its inventor, George Stephenson. Young Entwistle took the keenest interest in the progress of the engine. When the Liverpool and Manchester Railway was finished and the “Rocket” completed, Stephenson looked about for a driver. The foreman of the shops was consulted, but after a day or two reported that he had no man he could suggest, but if the great inventor would take the young apprentice Entwistle, he could recommend him highly. The steward of the Trust, therefore, was applied to and readily gave a written permission for the youth to go with Stephenson. Entwistle, however, was only informed of his new labours after all the arrangements had been made; but he seized the opportunity gladly, and set to work to make himself thoroughly acquainted with the new engine. He was then only fifteen. The opening of the new railway, which attracted the attention of the whole country, was fixed for Monday, September 15, 1830. On Sunday, Stephenson and young Entwistle took the “Rocket” for a trial trip, running over about one-half of the track. The following day both were on the engine which made that historic journey from Liverpool to Manchester, drawing behind it some of the most distinguished people in the land, a journey whose triumph was marred by the tragic accident to Mr Huskission. During the return journey from Manchester the young apprentice’s hand was on the throttle. When the line was opened for general traffic Entwistle was given sole charge of the “Rocket”, and for two years made two round trips every day between Liverpool and Manchester, one in the morning and the other in the afternoon. But the work was a serious strain on the youth – he became ill and found he was losing his nerve. He, therefore, asked to be relieved of his charge, and was told by Stephenson that he was only an apprentice and would have to stay where he was. To this Entwistle replied that he had not been apprenticed to a locomotive. Stephenson admitted the point, and through his kindness Entwistle secured a place as second engineer on one of the coasting steamers belonging to the Bridgewater Trust, on which he completed his seven years’ apprenticeship, and remained a year afterwards. When he was twenty-two Entwistle emigrated to America, but on landing in New York found that times were so bad, business stagnant, and money so scarce, that he could only earn a dollar a day as an engineer on a steamer called the Troy, which ran in the Hudson River and Long Island Sound. He was a man of much resource and ingenuity, for when the Troy was condemned and set them up in a rolling-mill on shore. In 1844 he migrated to Chicago, and for some twelve years was in charge of stationary engines in that place, with the exception of one summer, when he and a man called Perrier ran the Rossite, which was one of the first steamers worked by propellers on the lakes. During the next thirty-three years Entwistle had charge of the engines of two great mills in the States of Iowa; at one of these, the Ankery Mills, he remained for twenty-one years. When he was seventy-four Entwistle retired to a farm he had purchased forty years before, and at the age of eighty-one it is recorded of him that he had personally superintended the construction of a new barn, helping in the work himself. He was said to be energetic, quick of speech and motion, and possessed of very decided opinions, but his greatest pride – and a just pride – was in having been the first man to drive a passenger engine, and so inaugurate a method of locomotion which revolutionised the world. This is a fascinating story in its own right, let alone the Entwistle connection. What many will not realise is that a locomotive of this era, being a pioneer of the technology, needed a real engineer to handle it. Unlike later more reliable examples, the Rocket would need constant attention and maintenance, and real engineering skill to drive it. Its fire box would clinker-up on a regular basis and the driver would need to stop the train, crawl underneath and free the fire box. Stopping and starting would be difficult. Starting off needed the crank to be at a certain angle otherwise there’d be no motion, so stopping in the right position was crucial, and stopping with non-existent brakes (only a parking brake), but using the reverser, would be “hairy” to say the least. It would be quite easy to pick up too much speed on the downhill runs with disastrous consequences. All of this took real skill, and Stephenson himself, being a trained engineer, had this, but for a 15 year old boy, this level of skill was remarkable. Where is Edward’s final resting place – somewhere in Iowa? Did he have family – perhaps some members are alive today – why not get in touch with us? Bannister Grimshaw mentions a portrait of Edward hanging in the Crewe Railway Works – does anyone know where it is today? Was Entwistle driving the Rocket when Huskisson was killed, or was it Joseph Locke, as seems the likely driver on the fateful day? Synopsis. The Rocket steam locomotive is the best-known icon of early railway history. The original is in the collections of the Science Museum, London. A full-size replica of Rocket as it appeared at the Rainhill Trials of 1829 is on display at the National Railway Museum, York, and other full-size replicas are in museums in the United States. In 1999, Michael Bailey and John Glithero undertook a major survey of the original Rocket, involving an examination of all its components and detailed research into the documentation relating to its history. This book is based on their findings. It describes Rocket, its main components and the way in which they worked. Setting the locomotive in its historical context, the book emphasises the importance of the father-and-son engineers, George and Robert Stephenson. It also tells of the fame that Rocket achieved in 1829 and its brief career at the very beginning of the railway era. EFHA members can find further information on Edward Entwistle in articles written by Richard Entwistle in Twissle Times, December 2009 and March 2010.